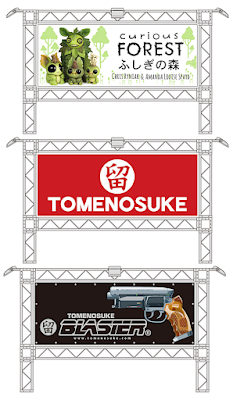 UPDATED: With Video of (setting up of) the Tomenosuke Booth! Tomenosuke will be boothing at this coming weekend’s Tokyo Comic Con 2017 (Dec 1-3) at Makuhari Messe, and Shinji Nakako generously shares with us news of WHAT they’ll be having/offering folks at the second annual event! 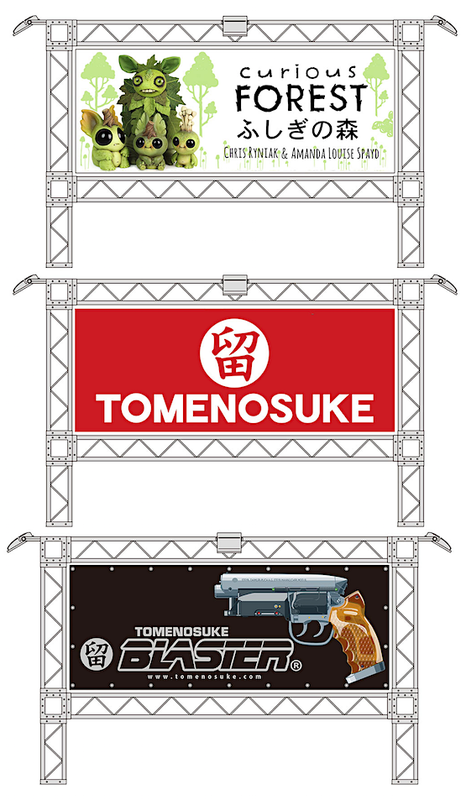 1/5th of the 6m x 15m Tomenosuke booth will be dedicated to Tomenosuke's Pop-up Shop. 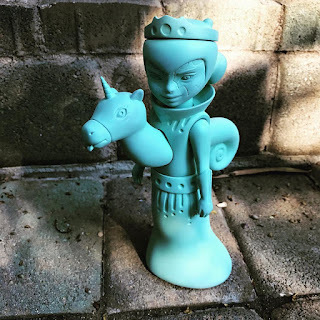 Items made available will include their own original toys and T+CP collaboration sofubi, to the latest products from Kidrobot, ToyCube, Mighty Jaxx, Fools Paradise etc. Expect a variety of products to be sold at “a special price for 3 days only”. 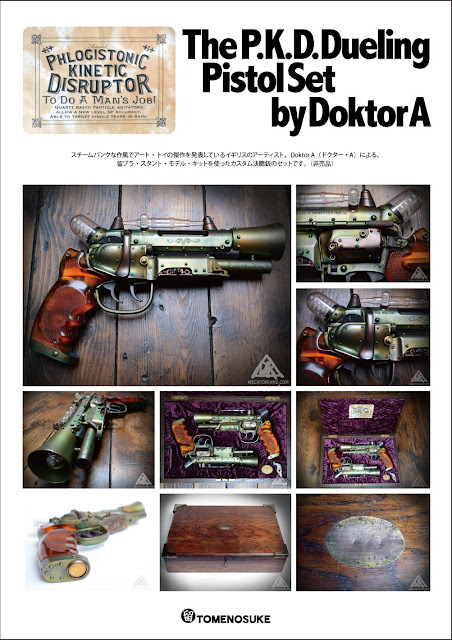 Further info via tenshu53.exblog.jp! The event will see a PRE-RELEASE Tara McPherson's “Stella & Flux” sofubi figure, made in collaboration with Circus Posterus! Folks at Designer Con 2017 earlier this month got a peek at the prototype (above-left)! Read more about Shinji-san’s thoughts of the figure’s production here. 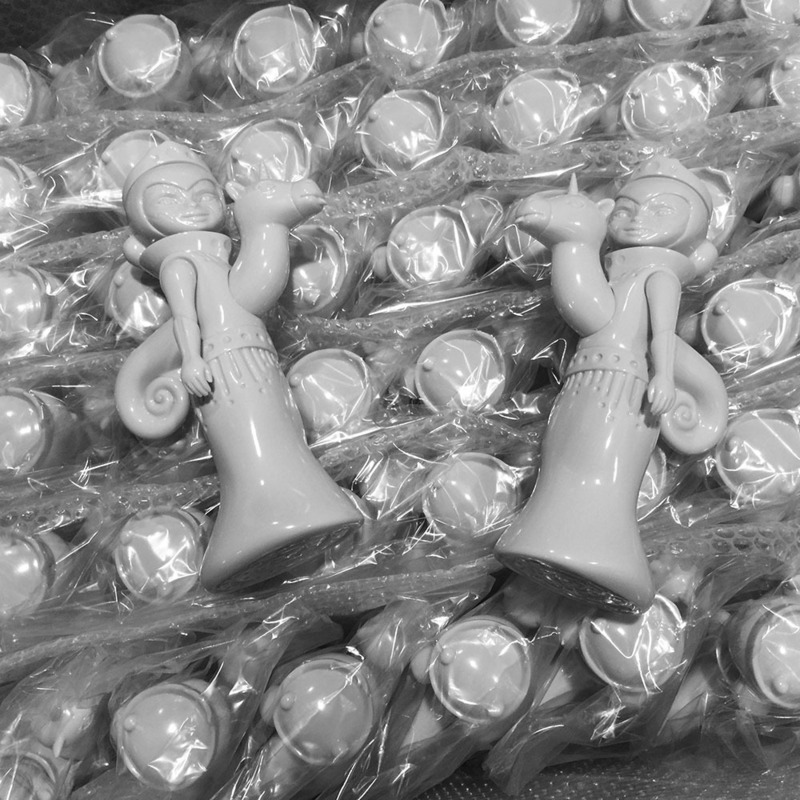 40 pieces were made in total, half of them will be available via Circus Posterus, and Tomenosuke will sell the other half all around the world, except North America. Tomenosuke is planning to sell half of these 20 pieces at Tokyo Comic Con. 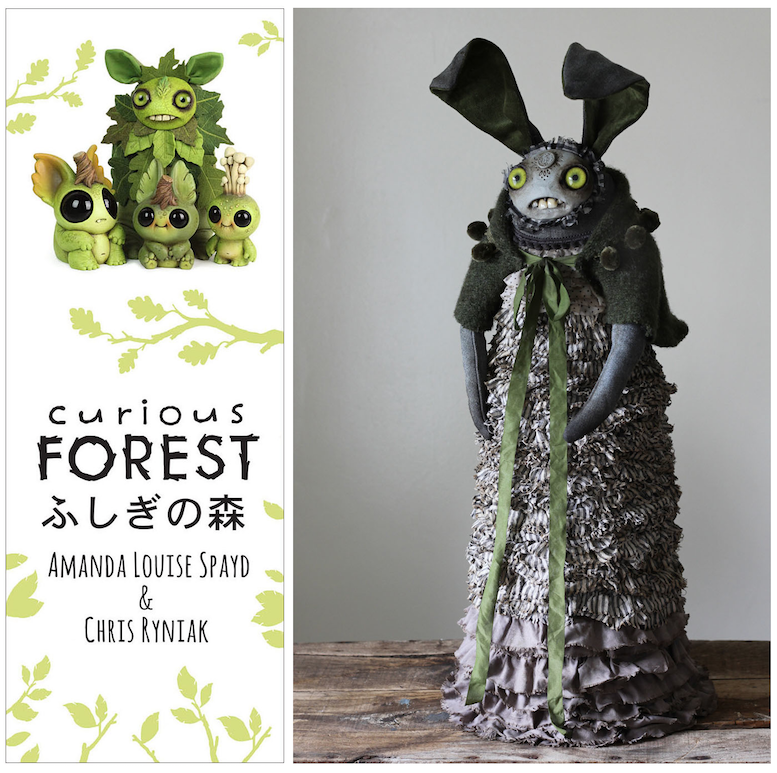 3/5th of Tomenosuke booth will be dedicated to "CURIOUS FOREST" by Amanda Louise Spayd and Chris Ryniak. Both artists will be at the venue during those 3 days, with several autograph sessions and live painting performances. Besides, the preview of the online page will also be revealed, through which purchasing their works online will be possible from December 5th. We’ll have a closer look at their goodies in a separate blog-post, thanks! The remaining 1/5th of the booth dedicated to the "Tomenosuke Blaster Workshop" - which will also see the display of a Doktor A-customized spectacular! PRESS: "In addition to the presence of the prototype sculptor Nobutaka Toku, from Saturday 2nd in the morning, Rocket, the prototype sculptor of Tomenosuke Blaster 1/6 nano, and the same day from 1 p.m., Kazuhiko Sato, Tomenosuke World Convention Custom manufacturer, will take part as guests."